I sat down with a couple of friends that you might describe as beer novices. They tend to drink the same beers and are hesitant to explore others. I wanted to talk to them to find out what keeps them from trying different beers, what they like and dislike in beer, and to drink a Half Pints Dead Ringer with them and get their opinion on it. So, let’s get to it. Frank and Jason are average beer drinkers. Frank tends to go for an Alexander Keith’s while Jason will often go for a Miller Light. They go for these beers because they like the taste and they are refreshing. Jason said he likes Miller Light because it is “smooth and refreshing” and he likes to have it after working out or doing work in the yard. While both of them have had a number of different beers they both tend to stick with these two beers of choice. Frank and Jason are both willing to try new beers they just have some difficulty with experimenting and are looking for beer that they like to drink. Jason likes to drink good quality union made beer that is a value, or a beer with some history. Overall they both want to drink beers that are refreshing and that you don’t have to “work” to drink. Frank enjoys “being able to drink the whole thing and something that tastes good cold. I don’t like bitterness in beer.” While Frank is pretty clear on what he doesn’t like, Jason doesn’t really know what he doesn’t like. He just knows that he doesn’t like it because it’s “really strong”. We ended up getting into a conversation about styles of beer. Both Frank and Jason didn’t really know very many different styles and Jason said “I never refer to them by style, I don’t know enough.” Even so, Jason has recently gotten the “strength” to try different beers. He says that the growler bars have been a big help in that for him. He is now loving Sultana Gold and drinks that along with his Miller Light. 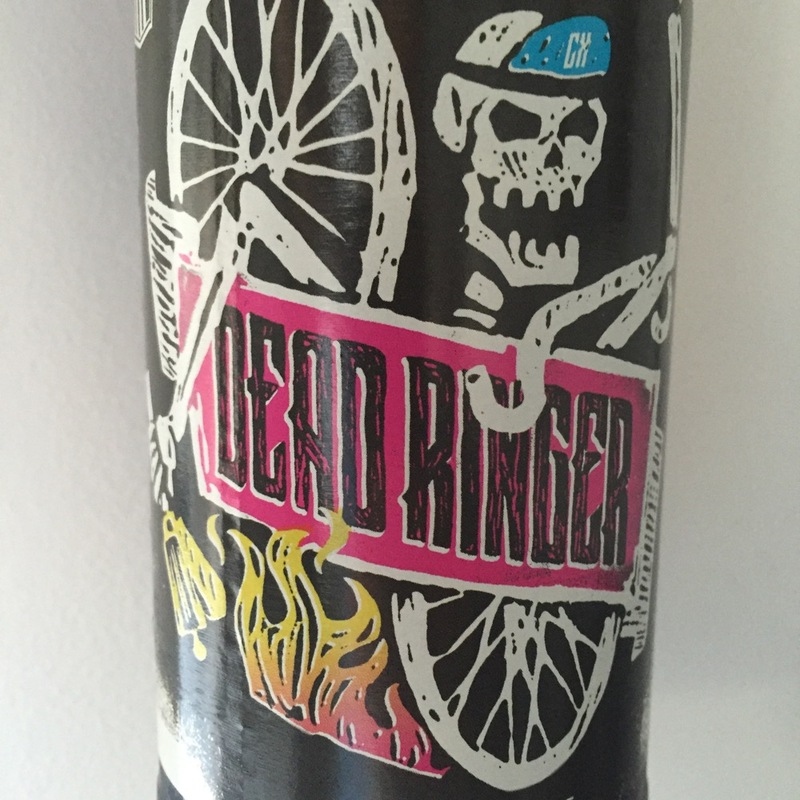 After getting this basic information down, I cracked open the bottle of Dead Ringer. We talked about what style of beer it was, what they should expect in the taste and what IBUs were. I’m doing this with them as a means of education and to help them navigate beers they may not otherwise try. After a short conversation we started drinking. Jason really liked it but said it isn’t something he “would have if [he] was out for wings.” Frank also liked it thinking that it wasn’t overly bitter and thought, if he could get it, he’d drink it. Frank lives outside the city and relies a lot on the beer vendors which really limits his beer choice. They both described it as a “sipping beer”. Talking about the beer itself Jason raised some really interesting points. He said that he probably wouldn’t have bought this beer if he saw it in the Liquor Marts because of the label and the fact it has “strong beer” written on it. Not being familiar with IBU, styles, and what to expect, he would be turned off by the “skeleton on the label”. Jason said “A lot of what stops me from trying more is cost and fear of knowing what it tastes like. I like going to beer fest with someone who knows what they are talking about. I think sample packs are a really good way to try new beer”. Jason has kids and doesn’t go out that often, so he relies on the Liquor Marts for his beer. He is hesitant to try new beers because he doesn’t want to spend the money and not like it. So, for now, his fridge is 15 miller light and 8 sultana gold. Out of this experience I learned a few things. I learned that being knowledgeable about beer is important. Without some sort of general beer knowledge, it might be difficult to take that first step into trying a beer you’ve never had before. Jason wants to try different beers but he doesn’t know anything about them and doesn’t want to waste his money. Having the opportunity to try the beers before buying them or having someone who is knowledgeable about beer to help him make his decision would be helpful. Jason said that he was thankful to have a friend who know about beer. We attended Flatlanders together and I was able to help him understand the various styles of beers he was trying and explain things about the beers to him before he tried them. Having this conversation made him more open to trying beers he might not otherwise try. I think having good knowledgeable staff and opportunities for beers to be tasted would go along way into helping people take that first step. We dubbed this evening “Beer School” and I think we are going to continue it. Jason and Frank both were really interested in learning about Dead Ringer and talking about the style of beer. So, we are going to continue down this path trying beers from different styles and talking about them.